Discoveries by NASA's Kepler Mission suggest there are billions of potentially habitable worlds in the Milky Way galaxy. What has the study of planets within and beyond the Solar System taught us about our own planet Earth? We'll explore this question and learn what's next in the search for life beyond the Solar System. Our speaker, Natalie Batalha, is an astrophysicist at NASA's Ames Research Center. She contributed crucially to the remarkable success of the Kepler Mission. Accordingly, in 2017, Dr. Batalha was named one of Time Magazine's 100 most influential people on Earth! HOW: This FREE event is presented by Wonderfest, the Friends of Mt. Tam, the San Francisco Amateur Astronomers, and Mount Tamalpais State Park. Optional sky tour and telescope viewing will follow. Bring a flashlight and — even though mountaintop weather (above the fog) is often warmer than down at sea level — wear warm clothes in layers. If rain or wildfire threatens, call 415-455-5370 after 4pm on event day. PLEASE consider a contribution to Wonderfest (via the "Tickets" window, below) to support science popularization. We've never needed an appreciation of the FACTS — and of the mysteries — more! Earth, seventy percent covered by water, is home to a multitude of strange ocean creatures, and dominant among them are the fishes. There are giants that live for centuries and thumb-sized tiddlers that survive only weeks; they can be pancake-flat or inflatable balloons; they can shout with colors or hide in plain sight, cheat and dance, remember and say sorry; some rarely budge while others travel the globe restlessly. In discussion of her most-recent book, Eye of the Shoal, Dr. Helen Scales will provide A Fishwatcher's Guide to Life, the Oceans, and Everything. When not writing (or underwater), marine biologist Helen Scales teaches marine conservation at Cambridge University. HOW: Free parking is available via the "Crossing/900" garage entrance, shown at center in the image below. Take a ticket upon entering the garage; we'll provide an exit code to use with the ticket upon leaving the garage. To access the Rabbit Hole meeting room, enter Box via doors just to the right (when facing the garage entrance, as shown). Thanks to the thoughtfulness of Wonderfest supporters, this event has no admission charge. If you, too, would like to support Wonderfest, please use the "Tickets" box, below. HOW: This admission-free event is co-presented by Wonderfest and Book Passage. Please contribute, via the box below, to help Wonderfest spread the scientific outlook. Through years of scientific and technological advance, we’ve learned that heredity is as complex as it is important. Consider the seemingly simple trait of height. We now know that at least 800 distinct genes influence height in humans. Further, collectively, those genes explain only about one-quarter of the heritability of height! The subtitle of science writer Carl Zimmer's new book is The Powers, Perversions, and Potential of Heredity. 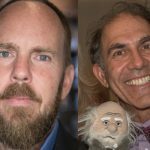 In this Wonderfest collaboration with the Commonwealth Club, Zimmer will exhibit the depth of his research and the clarity of his discourse. He will help us to understand how humans have become who we are. 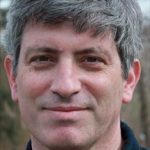 Carl Zimmer's journalistic "beat" is the science of life. He has written 13 books (including two biology textbooks), numerous essays (for The New York Times, Discover, National Geographic, and more), and he is an adjunct professor in Yale University's Department of Molecular Biophysics & Biochemistry. HOW: Purchase discount tickets with promo code WONDERFEST at the Commonwealth Club website, below. We humans often do battle with creepy invaders of our living spaces. This lively talk will present the latest research on the biology, detection, and control of three particularly villainous house guests. You might be surprised to find which room in your home is their favorite target. We will have big (and little) fun, and there will be props a-plenty — some of them still crawlin' — to go around. Our speaker, Dr. Vernard Lewis, is emeritus Cooperative Extension Specialist in UC Berkeley's Department of Environmental Sciences, Policy, and Management. He joined the Cal faculty in 1991, specializing in Urban Entomology, authoring or co-authoring more than 150 publications, and giving hundreds of lectures & presentations. Dr. Lewis was inducted into the Pest Control Hall of Fame in 2016. HOW: This creepy extravaganza is FREE. But how valuable is this experience TO YOU? Please contribute to nonprofit Wonderfest, accordingly, via the Eventbrite box, below. Quantum physics describes the realm of the very small with exquisite accuracy. However, quantum experiments can give such strange results that physicists often need to assume disparate "interpretations" of quantum physics in order to make sense of what they observe. Amid this quantum uncertainty, it’s become fashionable for the names of everyday products and services to include the word "quantum." When is this valid, and when is "quantum" just a nonsense buzzword? From "quantum computing" to "quantum biology" to "quantum jumping", this presentation will put you in a super-position to tell the difference. This event is FREE, but please consider a modest (or immodest!) contribution to nonprofit Wonderfest via the Eventbrite box, below. The Northern Lights (aurora) can appear as a deep red glow here in California. In Alaska, it more often appears as a bright green band, glowing across the night sky. Scientists are still researching why these dynamic lights look the way they do. Come learn more about the underlying reasons for auroras, their connection to the activity on the Sun, and how photographers are helping us better understand the different ways these lights manifest ... and delight. Our speaker, physicist Laura Peticolas, is Scientist and Associate Director of Education & Outreach at Sonoma State University. 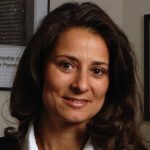 WHO: Dr. Laura Peticolas, Assoc. Director of Education & Outreach, Sonoma State Univ. Vehicles can exit the Park until 10:30pm; after that, remaining vehicles may be cited. After sunset, vehicles lacking a dashboard Astro Program parking pass may be cited. Print a FREE Astro Program parking pass at this Eventbrite website. This FREE science event is presented by Wonderfest, the Friends of Mt. Tam, the San Francisco Amateur Astronomers, and Mt. Tamalpais State Park. Optional sky tour and telescope viewing will follow. Bring a flashlight and — even though mountaintop weather (above the fog) is often warmer than down at sea level — wear warm clothes in layers. If rain or wildfire threatens, call 415-455-5370 after 4pm on event day. Scientists know, as well as we know the sun will rise tomorrow, that California will experience another large earthquake. But what details do we have? What will this earthquake be like? How accurate is the portrayal we see on television? Earth & planetary scientist William Hawley will answer these questions — and more — in a moving dive into the world of seismology. 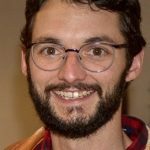 William Hawley is a seismologist and advanced PhD candidate in UC Berkeley's Department of Earth & Planetary Science. He is also a Wonderfest "Science Envoy," a compelling and well-trained science communicator. How did the human race evolve from rather solitary predators into the intensely social creatures that we are now? Where in the brain can we find the roots of our multiple connections to each other, and how do those connections reverberate within and between us? Pascal famously wrote, "The heart has reasons that reason cannot comprehend." Today, Pascal would admit that very reasonable "comprehension" has been attained by modern psychology and neuroscience. 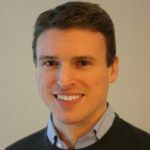 Our speaker, Dr. Thomas Lewis, is Assistant Clinical Professor of Psychiatry at UCSF and Professor at USF's Fromm Institute. He is also co-author of the book A General Theory of Love. HOW: Thanks to the thoughtfulness of Wonderfest supporters, this event has no admission charge. If you, too, would like to support nonprofit Wonderfest, please use the "Tickets" box, below. Zoologist Lucy Cooke has explored the wildest side of wildlife. Against our temptation to anthropomorphize animal behavior — projecting human values such as temperance, fidelity, and enterprise onto our biological kin — Cooke's careful observation reveals a bizarre animal world that includes drunken moose, cheating penguins, and lazy worker ants. "Virtue" may be significantly less natural than we imagined. 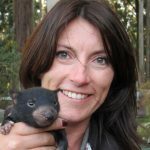 Oxford-educated Lucy Cooke is an award-winning documentary filmmaker who studied zoology and animal behavior with Richard Dawkins. 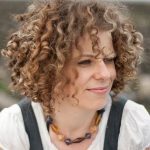 This discussion of her most recent book, The Truth About Animals, will takes us on a global journey, exposing myths and misconceptions about the animal world. HOW: Purchase DISCOUNT tickets (and FREE student tickets) with promo code WONDERFEST at the Commonwealth Club website, below. Psychologist Mariel Goddu explores the origins of logical thought, from prehistory to everyday modern problem-solving. Neuroscientist Ryan York explains the romantic lengths to which one castle-building critter will go in the name of romance. 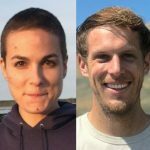 Mariel Goddu is a doctoral candidate at UC Berkeley's Institute of Human Development, and Ryan York is a postdoctoral scholar in Stanford's Department of Neurobiology. Both Mariel and Ryan are Wonderfest Science Envoys. HOW: Please purchase tickets to this Wonderfest collaboration with taste of science at the webaddress below. Reading the news is a lousy way to learn about global warming. Why? Because news outlets focus on what is novel, so they rarely discuss the big picture that has been causing climate scientists to lose sleep for decades. This presentation provides the big picture. It will arm you with a few simple numbers to be confident in your understanding of global warming, its impacts, our failure to act, and what needs to be done. Our Earth Day speaker, Dr. David Romps, holds the Goldman Distinguished Chair in the Physical Sciences at UC Berkeley. He is also Associate Professor of Earth & Planetary Science, and he directs the Berkeley Atmospheric Sciences Center. HOW: This special EARTH DAY event is FREE. But what value does this insight have FOR YOU? Please contribute to Wonderfest accordingly, ... and deduct it from your taxes. Help nonprofit Wonderfest to spread the scientific outlook via the "Tickets" box, below. Many scientists now think that there might be more than a single universe. Our Universe may be just one example in a far larger "multiverse," but an unusually complex one that is conducive to the existence of life. Come learn about the relevant lines of reasoning and their profound implications. Our speaker, Dr. Alex Filippenko, is one of the world's most highly cited astronomers. He was the only person to serve on both teams that simultaneously discovered the Nobel-worthy accelerating expansion of the universe. Alex has been voted UC Berkeley's "Best Professor" a record nine times. PLEASE consider a contribution to Wonderfest (via the "Tickets" window, below) to support science popularization. We've never needed an appreciation of the FACTS — and of the beautiful mysteries — more! We search for the origins of life on Earth and the potential for life elsewhere, but what are we actually looking for? What is life? Is there only one way to construct a living organism, or are we Earthlings but one possibility out of a multitude? 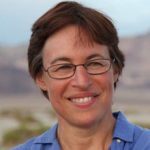 Our speaker, Dr. Lynn Rothschild, is an astrobiologist and synthetic biologist at NASA Ames Research Center. She is also an adjunct professor at Brown University and at UC Santa Cruz. WHAT: Is There a Universal Biology? Advances in recent decades have allowed amateur astronomers to produce deep space and planetary pictures that rival those taken by professional observatories. 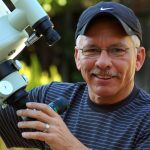 This presentation will provide an overview of off-the-shelf instruments and methods anyone, with perseverance and patience, can use to take amazing night-sky photographs. Astronomical images reveal humankind's true place in the Universe. Why not capture some, yourself? 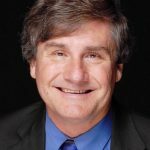 Our speaker, Jay GaBany, is president and CEO of the Advanced Imaging Conference. He has written over fifty articles for Sky & Telescope, The Universe Today, and the UK's Astronomy Now magazines, AND he was twice chosen by Time magazine as one of its 25 most influential people in space. Traditionally, software is built by programmers who consider the possible situations and write rules to deal with them. But recently, many software applications have been created by machine learning: the programmer is replaced by a trainer, who shows the computer examples until it learns to complete the task. This shift in the way software is built is opening up exciting new possibilities and posing new challenges. 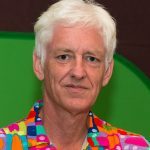 Our speaker, Peter Norvig, is Director of Research at Google. Before joining Google, he led NASA's Computational Sciences Division and co-authored the still-leading A.I. textbook. Free parking is available via the "Crossing/900" garage entrance, shown at center in the image below. To access the Rabbit Hole meeting room, enter Box via doors just to the right (when facing the garage entrance, as shown). Thanks to the thoughtfulness of Wonderfest supporters, this event has no admission charge. If you, too, would like to support nonprofit Wonderfest, please use the "Tickets" box, below. Jane Goodall may be the world's foremost expert on our genetic and behavioral kin, the chimpanzees. She is certainly a brave and thoughtful steward of planet Earth. In the 2017 documentary Jane, we see the young, untrained researcher challenge scientific consensus on the road to revolutionizing people's understanding of the natural world. 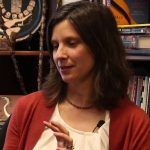 Alongside the Cameo Cinema's screening of the highly acclaimed Jane (99% Fresh at RottenTomatoes), Wonderfest presents UC Davis anthropologist Kelly Harcourt on "Why Study Apes?" Dr. Harcourt studied mountain gorillas (with, among others, Dian Fossey) in central and east Africa. 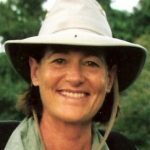 Since 1989, she and her husband have produced numerous scientific and popular publications, including their 2007 book, Gorilla Society. WHAT: JANE & Why Study Apes? HOW: Purchase tickets for this special Science On Screen event via the Cameo Cinema box office "Tickets" link, below. The modern scientific search for extraterrestrial intelligence (SETI) is decades old. Why, so far, have we gotten no hint of cosmic companionship? 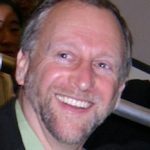 SETI pioneer Dan Werthimer will describe the rationale for past and future searches, and will show how new technologies are revolutionizing SETI. Dan Werthimer is chief scientist at the Berkeley SETI Research Center. He oversees both SETI@home and the new $100-million Breakthrough Listen project. WHAT: Is Anybody Out There? HOW: This is event is FREE. But what value does this knowledge have FOR YOU? Please contribute to Wonderfest accordingly, ... and deduct it from your taxes. Help nonprofit Wonderfest to spread the scientific outlook via the "Tickets" box, below. 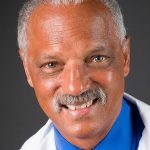 At 7:45pm, Dr. Gregory Tranah presents "I Got Rhythm!" – How circadian rhythms coordinate the brain and body to impact human health and aging. Dr. Tranah is Director of Precision Medicine at Sutter Health. At 8:30pm, Dr. Robert Siegel presents "Cows, Cannibals, and Crystals" – How prions, infectious agents unlike any others, cause disease. Dr. Siegel is Professor of Microbiology & Immunology at Stanford University. HOW: Click on the link, below, to purchase advance tickets for this March-15th NightLife at the Cal Academy website. The Declaration of Independence proclaims our right to "life, liberty, and the pursuit of happiness," but not to the pursuit of pleasure. What is the neurological difference between these two positive emotions of happiness and pleasure? Has society's exploitation of pleasure systematically weakened our grasp on happiness? What has caused the twin epidemics of these emotions' negative extremes: addiction (from too much pleasure) and depression (from too little happiness)? 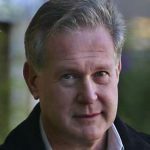 Our speaker, Dr. Robert Lustig, is Professor Emeritus of pediatric endocrinology at UC San Francisco. His new book, The Hacking of the American Mind, explores the scientific, cultural, historic, economic, and social causes of our modern problem with pleasure.